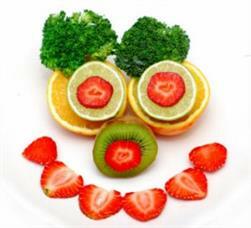 We love serving healthy meals and believe that sound nutrition is one of our most important responsibilities. That’s why we’re going the extra mile to provide children at our center with fresh fruits and vegetables – not canned food! At Discovery Point Heritage, we are taking steps to ensure that our kitchen meets or exceeds all health rules and regulations. This allows us to supply our center with large amounts of fresh fruits and vegetables. We believe that the benefits of fresh food outweigh the challenges of cost, space, and workforce needed to serve it. We’re so happy to continue supporting children’s well-being with nutritious vitamins and minerals instead of sugar, chemicals, and preservatives. We can’t wait to see our full-time cook preparing healthy meals our children will enjoy!